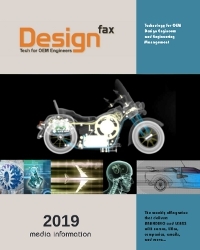 Start your review of Designfax as an advertising medium by downloading our 2019 media kit. In it you will find an editorial calendar for the year’s 48 weekly emailed issues, target customer information, and advertising options. Reach high-level OEM product design engineers and engineering managers in Designfax, and get qualified sales leads that you can put to work the day after your ad runs. Have questions? Want to know who to contact about special deals or advertiser testimonials?